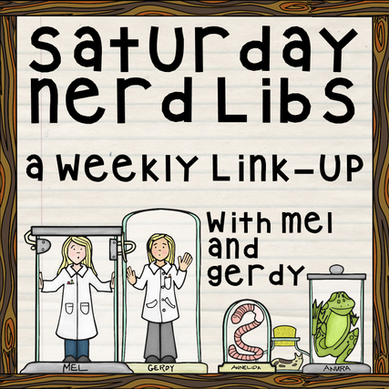 My friends Mel and Gerdy have started a Saturday Linky Party called "Saturday Nerd Libs". 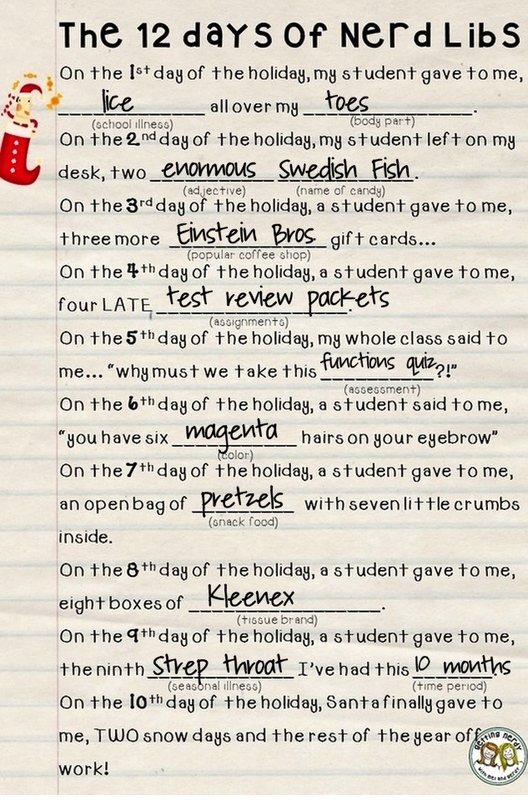 I think a mad libs linky is such a cute idea, so of course, I have to link up. I'm a little late to the party this week, but better late than never, right? I can relate to the strep throat! Every time I go in to the doctor's office for that one, I just mention that I'm a teacher, and they start writing the prescription for antibiotics! Stay well!